There are two main methods of home brewing beer. One is called extract and the other is known as all grain home brewing. With extract, you use either powdered malt sugar or malt syrup that has been extracted for you. With all grain home brewing, you extract the starches from the grain yourself and then convert them to sugar during the mashing process. All grain home brewing is considered to be more advance than extract brewing since it is more complex and you have greater control over the beer you make. 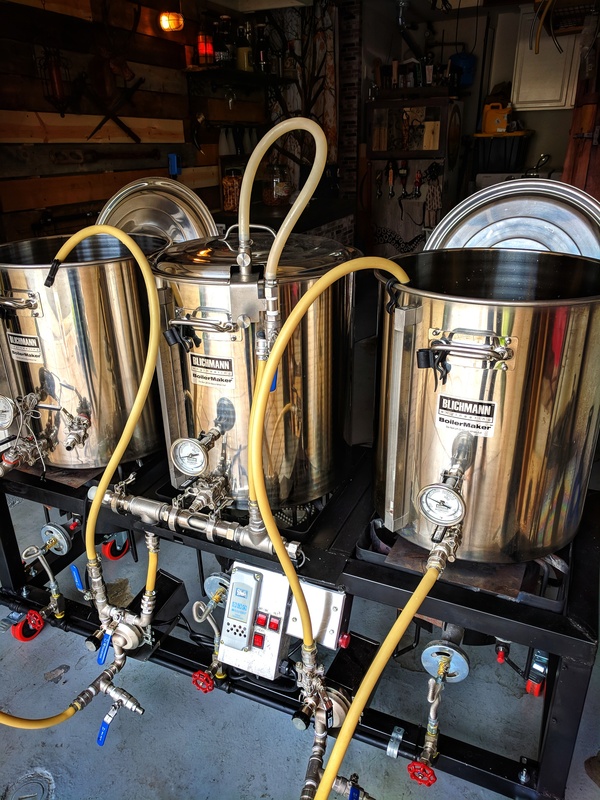 If you have tried extract home brewing and are ready to move to all grain, I have created a list of my top 3 all in one turnkey all grain home beer brewing systems. 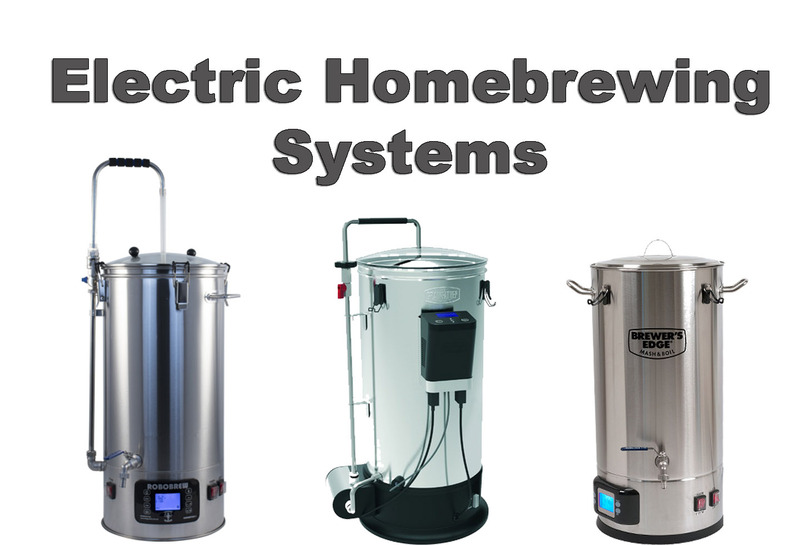 For my list I have chosen 3 affordable home brewing systems that will allow you to brew 5 gallon batches of beer. The RoboBrew v3 is an electric home brewing system costs $479 and comes with everything that you need to start brewing all grain beer recipes. 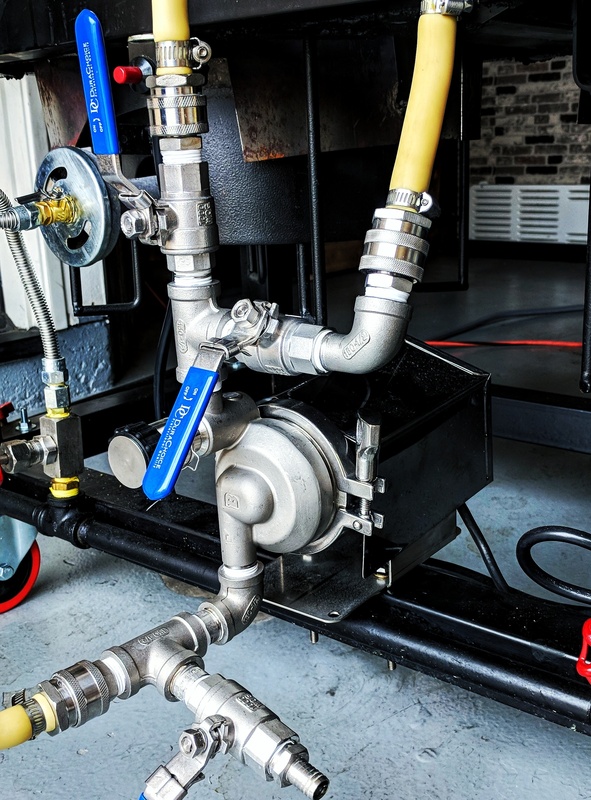 The RoboBrew features a built-in magnetic drive pump to recirculate the wort during the mash for high efficient brewing. The RoboBrew also features dual electric heating elements run off of a single 110 volt plug and has individual switches allowing for more control over the heating process. The RoboBrew’s digital control panel makes it easy to see the temperature as you brew. The Robo Brew’s digital temperature controller is also water resistant so you don’t need to worry about spills or some water dripping down the side. The Robo Brew home brewery includes a stainless steel malt pipe with false bottom allowing you to quickly shift from mash tun to boil kettle. The Robobrew v3 even includes a stainless steel wort chiller is shipped with bare ends so you can set it up for your situation. The RoboBrew costs $479 and can be purchased here. The GrainFather home beer brewing system is an electric home brewing system costs $998. 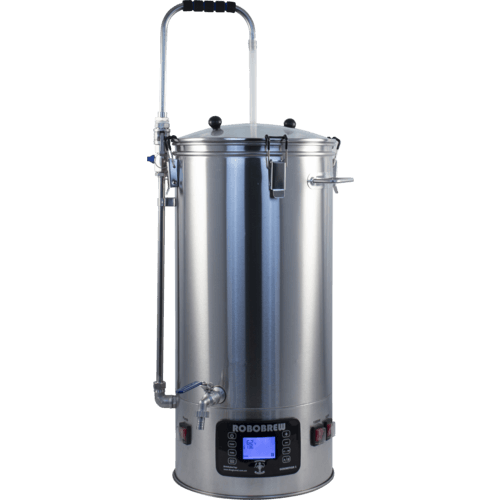 The Grain Father home beer brewing is an all in one Brewing System with a hefty feature set! 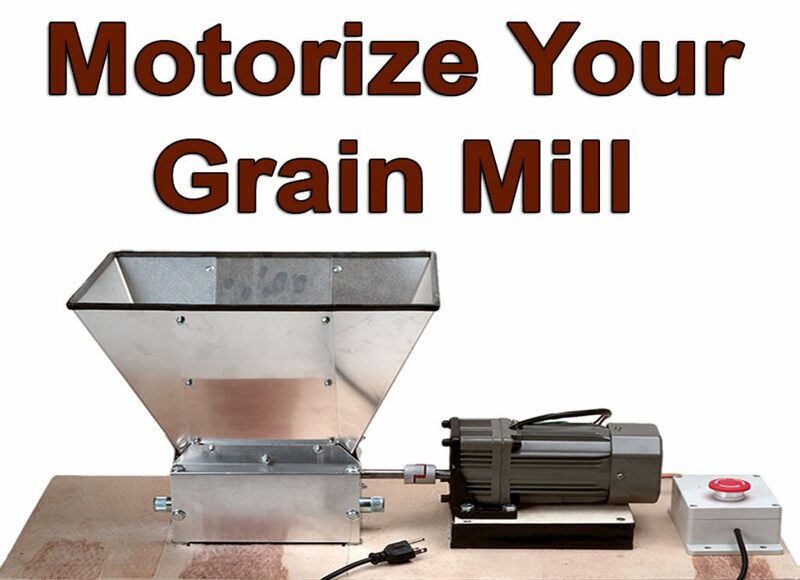 The Grain Father has a small footprint and uses standard 120 v power. Mashing in the Grain Father takes place in the inner Stainless Steel brewing basket. The wort recirculates through the perforated plate. 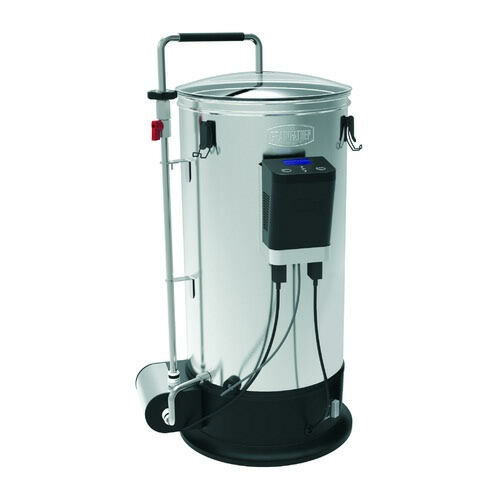 This Grain Father electric home brewing system includes a counter flow homebrewing chiller for cooling wort post boil. Best of all, the Grain Father uses the Connect Control Box in conjunction with the Connect App for the ultimate home beer brewing experience. The control box has Bluetooth connection to your mobile device so it can be controlled remotely making your brew day a snap. If you are looking for the most cost effective all grain home brewing system available, look no further. The Brewer’s Edge plugs into any 110 volt GFI household outlet. 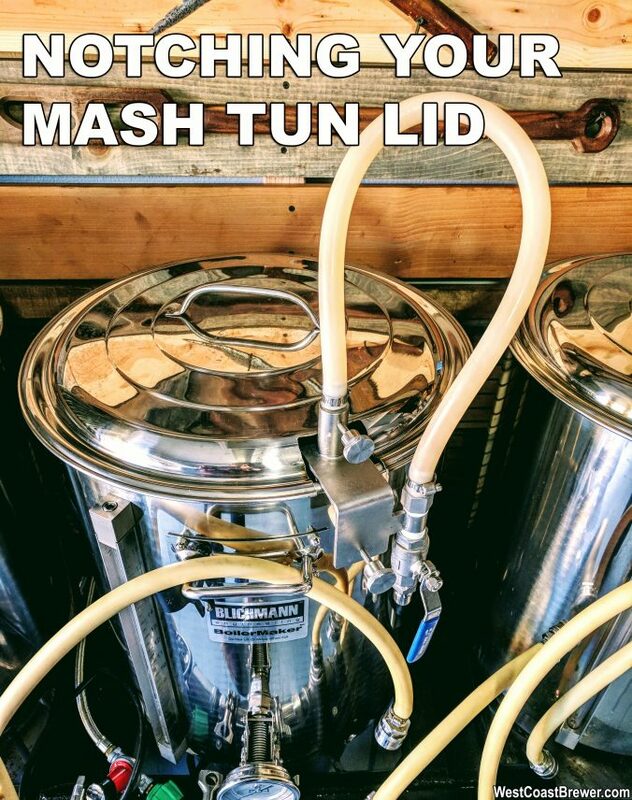 The Mash and Boil features double wall stainless steel construction. This design enhancement conserves heat and lets you reach a boil faster! You can achieve a rolling boil with only 110 volts and 1600 watts! The Brewers Edge’s precise thermostat and internal sparge basket lets you mash and boil in the same vessel. I initially purchased my March home brewing pumps about 7 years ago, well before stainless steel homebrew pumps were really a thing. 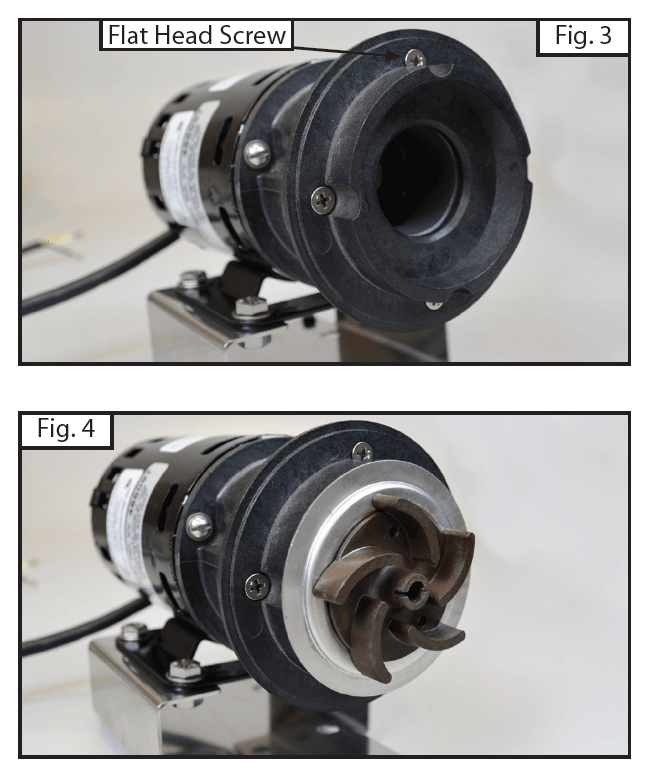 Once stainless pumps became more popular, I considered upgrading, but my existing pumps worked fine and I could not justify the cost. Then Blichmann released their RipTide home brewing pumps which feature a tri-clamp attached head!!! In my opinion that is a big deal because it allows you to easily gain access to the pump cavity for easy cleaning. As it stood, I had to rely on hot water and PBW to do all of the cleaning unless I wanted to spend an extra 30 minutes breaking down, clean and then reassembling each of my March pumps; which is really not something I wanted to do after a long day of beer brewing. The one down side was that a new Blichmann Rip Tide home brewing pump will run you $199+. So I waited…..
Then, Blichmann release the RipTide Upgrade Kit! 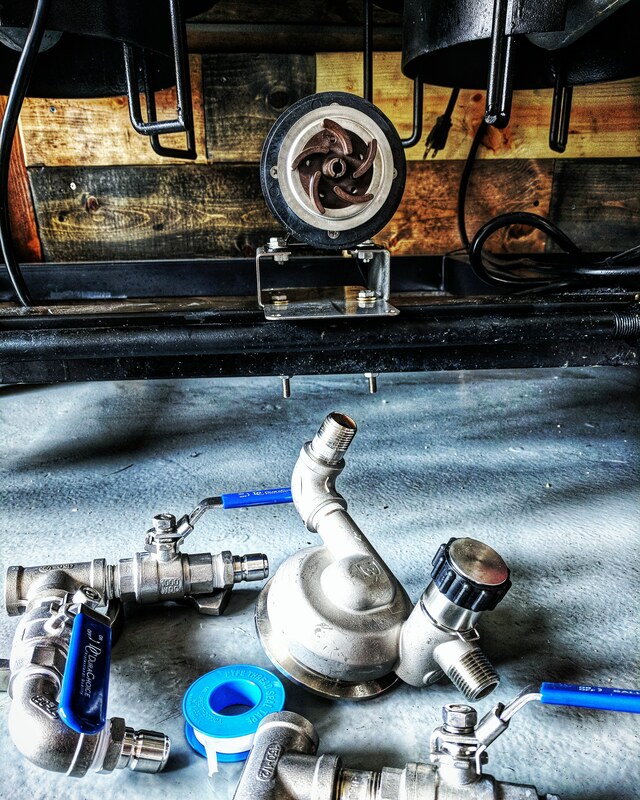 The Rip Tide Upgrade Kit allows you to upgrade some of the most common existing home brewing pumps to a Blichmann Rip Tide, for just $99. With this RipTide Kit, you can upgrade your March or Chugger pump with the Riptide’s Tri-Clamp housing. The RipTide’s head is made from stainless steel and can rotate 365 degrees to fit almost any home brewing setup. 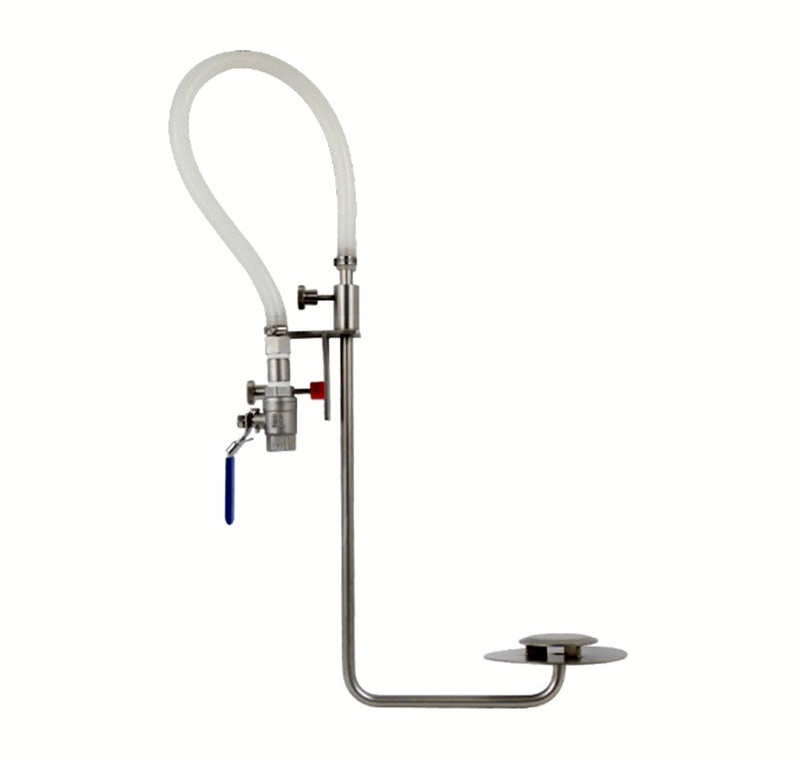 The kit also comes with Blichmann’s integral linear flow valve, which provides superior control and eliminates the need for an upper ball valve in must situations. 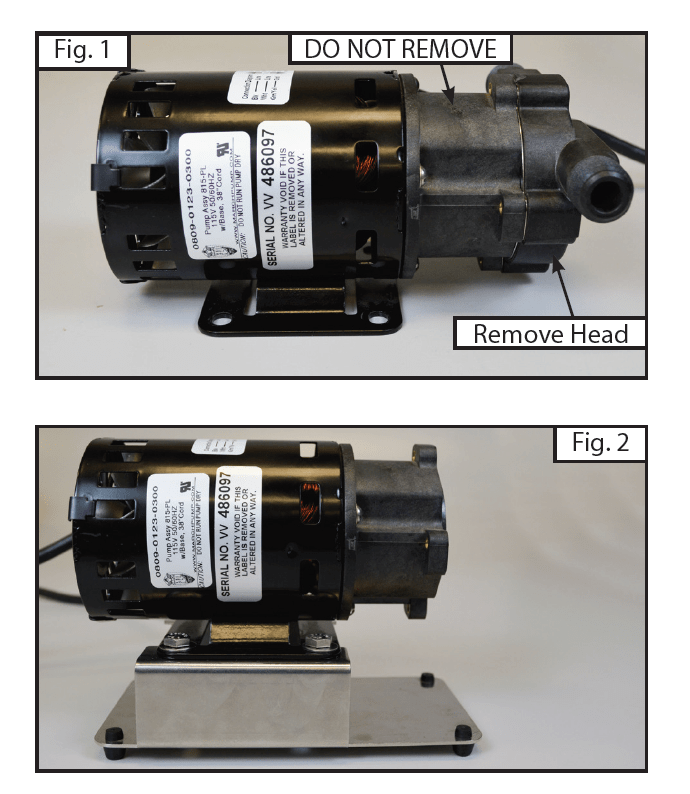 Here is a list of home brewing pumps that the Blichmann Riptide upgrade kit is compatible with. After verifying that the Blichmann RipTide Upgrade Kit would work with my current March homebrew pumps, I place my order for two of them. After placing my order, it took about 8 days for them to arrive. I purchased them from More Beer, but the pumps were shipped directly from Blichmann. Lastly mount the Blichmann RipTide pump head on to your pump using the include stainless steel 3″ Tri-Clamp and attach any fittings that you may have. The entire process took me approximately 30 minutes per pump to upgrade an re-install onto my home brewing stand. Except for the issue with the washer, it was very painless. Here are a couple of photos of the Blichmann RipTide homebrewing pumps after they were installed on to my homebrewing rig. After that I tested the RipTide home brewing pumps for leaks and checked to make sure all of the ball valve connections were free from leaks as well. All was good and I also took a short video in case anyone was curious about the type of pressure or flow rate that you could expect from the RipTide upgrade kit. I do not know about you, but I am not the biggest fan of having to store and maintain propane tanks. They take up space, run out of gas in the middle of a boil, the pressure changes when the tank gets too low and they are expensive to refill; and all the while I have natural gas available 10 feet away from my home brewery. So I decided that I would try converting my banjo burners from propane to natural gas. Let me start off by saying that I am not a professional plumber, a mechanical engineer, or a scientist that specialized in flammable gasses; so you should consult a professional. PLEASE CONSULT A LICENSED HEATING PROFESSIONAL FOR INFORMATION ON CONNECTING YOUR OUTDOOR BURNER TO YOUR HOUSE NATURAL GAS. 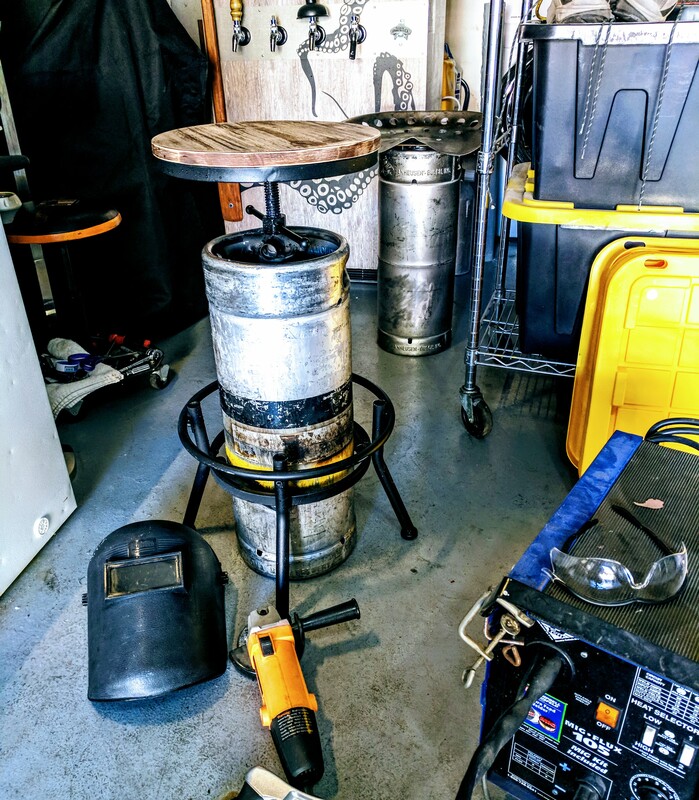 My home brewing setup uses 3 banjo burners and a 120v electric RIMS system to generate heat. So my first step was purchasing the natural gas valve to replace my existing propane valve. Since natural gas is pushed with a lower pressure than compressed liquid propane, you can not simply use the same valve. 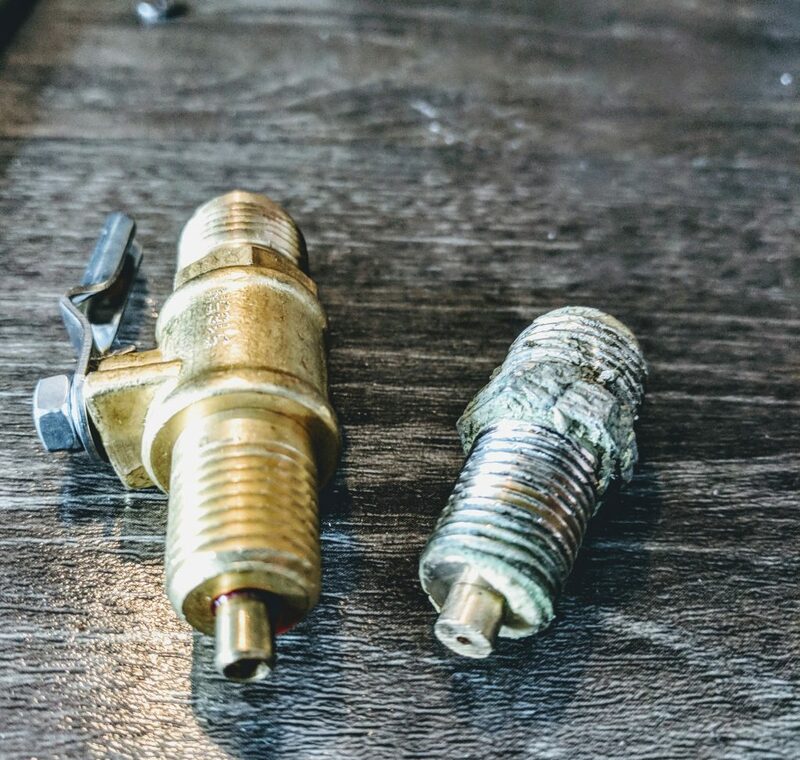 The good news is that the replacement valve is not that expensive. 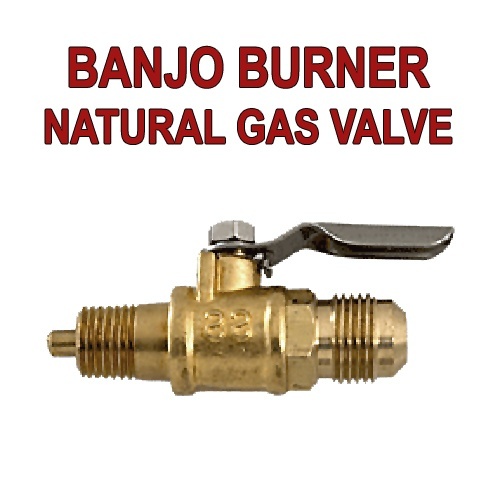 Williams brewing sells the valve for $9.99 and this Banjo Burner natural gas conversion valve is compatible with the Bayou Classic KAB4, KAB6, and BG14 Banjo burner. To use this valve, you will need a gas connection hose with a 3/8″ female flare end to attach to this valve to your natural gas source. This valve has an orifice diameter of approximately 1/8″, and features 1/4″ male npt threads to attach to your gas burner. These home brewing burner natural gas conversion valves also fit the Blichmann Top Tier Burners and Blichmann Floor standing burners. You can see the difference in the two burner valves in the following photo. The natural gas replacement valve is on the left. You can see the gas outlet diameter is much larger than the propane on the right. The process was pretty painless and I was able to replace all three burner valves and test for leaks in about 60 minutes. I used natural gas safe teflon sealant on all of the valves. One important factor to keep in mind is that natural gas is lower pressure than propane and you are going to put out less BTUs than you would with a propane tank. So if you were already struggling to achieve a boil with a propane tank, converting to natural gas is probably going to be a bad idea. I have yet to test how long it takes to reach a boil, but the flame tests all look great so far! Once I have the test in, I will let you know how it work out! I was fortunate enough to get a little time off of work before New Year’s and decided to try and make the best of it! I was able to dedicated a good deal of time to some home brewing projects and all in all I was able to brew 4 batches. I made a 5 gallon batch of hard cider that I am aging on Oregon tart cherries, I brewed an Irish Stout that I am again on Irish Whiskey oak cubes, coffee and Irish Cream flavoring which I am calling car bomb, MoreBeer’s Hop Gatherer IPA which uses distilled hop oil and a slightly modified version of More Beer New England Style IPA called Haze Craze, their Hazy IPA. In the coming weeks I will post recipes and reviews on all of them. For now, here are some photos from my most recent home beer brewing sessions. For my most recent home brewing project I converted an old decommissioned 5 gallon keg that my buddy hooked me up with in to some seating for brew day! 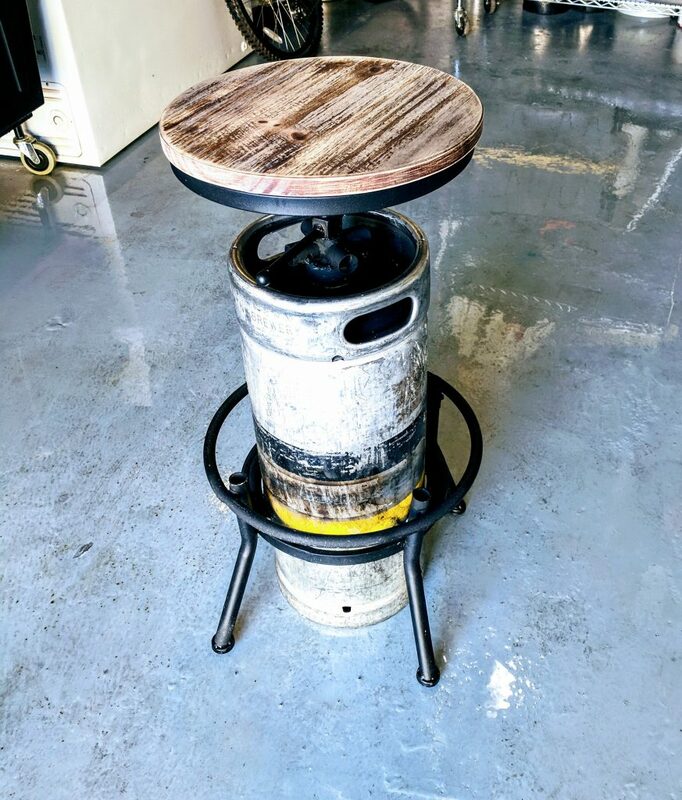 For me, half of the enjoyment of home beer brewing is being creative, either in designing beer recipes or making things such as homebrew tap handles, home brewing equipment or accessories like this brewery bar stool, beer brewing throne! The design process for this brewery bar stool, keg stool was pretty hap hazard. Basically I went online, search for an inexpensive bar stool that had the aesthetics that I was looking for for the base materials and cut it up to be used for parts. As expected, the homebrew bar stool did not fit together perfectly so there was a good deal of cutting, grinding, welding and finishing involved to get the keg stool to fit together as desired. All in the project took about 3 hours but I am happy with the results. Having the ability to adjust the height on the seat comes in pretty handy depending on what project I am working on. The additional legs around the base of the keg adds some stability to the stool in case one of my friends or I has had a few too many! The tools that I used to make my brewery stool were a old crappy mig welder, grinder, hack saw / cut saw, wire brush, hammer and a little sand paper for finishing. If you would like to make your own brewing throne, brewery stool, keg stool or keg seat and have any questions, please feel free to ask or leave a comment. I am always happy to help a fellow home brewer out! Brewed up a Batch of Coffee Milk Stout over the weekend! This weekend I brewed up a batch of Coffee Milk Stout. If it turns out well, I will be sure to post the recipe for it. It should ride that line in between stout and imperial stout. I also chose to diminish the hop profile on it a bit so that the coffee flavors could be showcased on this batch. I am also going to try adding a cold brewed coffee concentrate to the fermenter after about a week instead of adding coffee beans to the fermenter. Fingers crossed that this will turn out well! Sale Description: Adventures in Homebrewing is currently running a sale on Ruby Street Home Brewering Systems! If you act now you can get FREE SHIPPING on a Ruby Street Brewing System and save up to $250! Not a bad deal for a turn key home brewing system. Ruby Street offers a wide variety of brewrig configurations and has the home brewing setup for you no matter if you are an extract home brewer, all grain brewer or want to transition over to all electric home brewing! 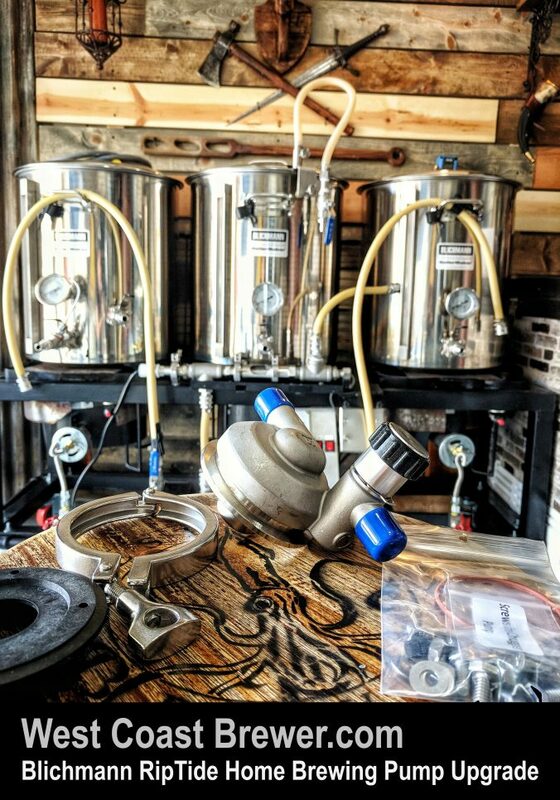 You will be impressed with what Ruby Street has to offer as they are currently one of the most innovative homebrew system builder out there and give you probably the best bang for your home brewing buck! 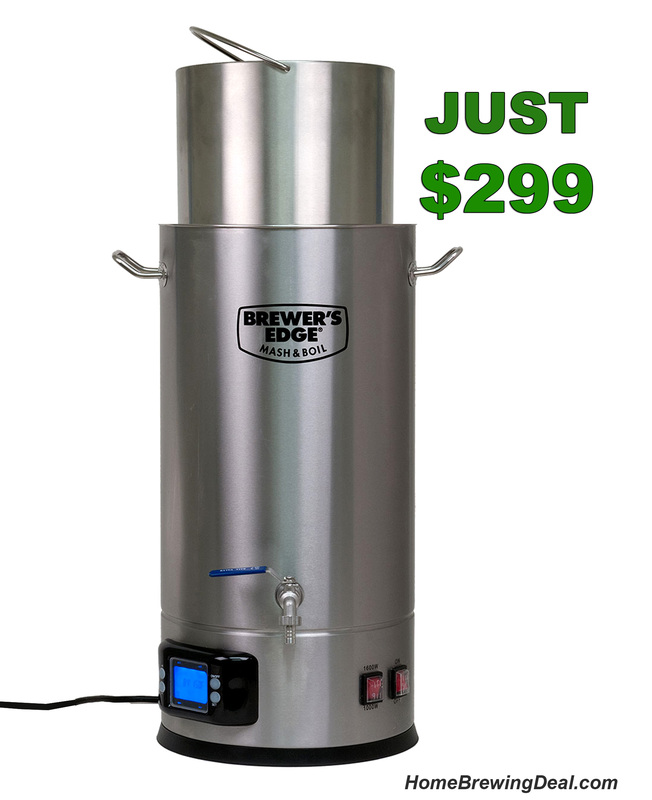 Home Brewing Rig Details: The Brewer’s Edge Mash & Boil is probably the best deal going for an all in one all grain home brewing system. With the Brewer’s Edge, there is no need for an outdoor burner, complicated brewing system, or even a 220 volt special circuit. The Brewer’s Edge homebrew system plugs right in to any standard 110 volt GFI household outlet. 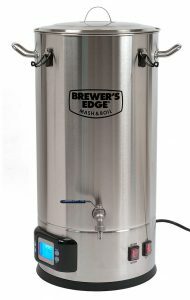 The Brewer’s Edge Mash and Boil’s exclusive double wall stainless construction conserves heat to achieve a rolling boil with only 110 volts and 1600 watts, and its precise thermostat and internal sparging basket lets you mash and boil in the same vessel! For the last several years, I have been using a boring old white refrigerator to store my kegs. Originally when it came time to purchase one, I was just looking for the best deal out there on a refrigerator that could keep my homebrew cold. I have been serving my beer from picnic \ cobra taps that sit lose on top of the kegs in my fridge. A couple of weeks ago I decided to take the keg fridge to the next level and convert it to a full fledged Kegerator with for taps to accommodate all of my kegs. After ordering the beer tap hardware at MoreBeer and taking a trip to the local hardware supply shop, I had everything that I needed to begin my work. My goal for this homebrewing blog entry is to list out all of the basics of what you will need to conduct the process yourself but I am sure to miss something and if you need any specifics please feel free to ask; I am happy to help if I can. Please keep in mind that I am not a carpenter, engineer or machinist; so there are probably 10 better ways of doing this, I am just trying to share my experience in case it helps someone else out. I figured that if I am going to take the time to do this project, I was going to do it right! 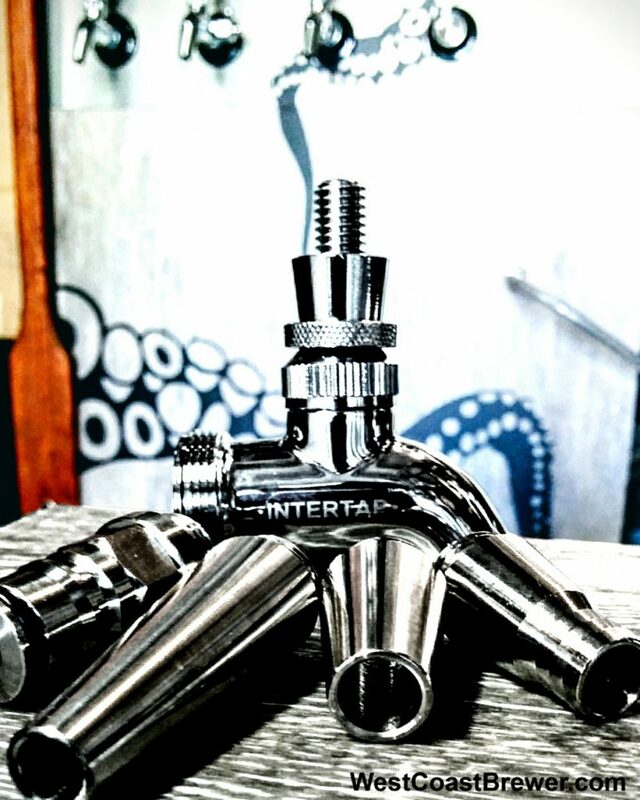 Recently MoreBeer started to carry Intertap stainless steel beer facuets – tap, which are basically the Holy Grail of beer taps and the best beer faucets currently available! I chose these intertap beer faucets for a few different reasons. For one, they offered an all stainless steel faucets which is important to me because I want it to last, I want my homebrew beer serving to be as sanitary as possbile and I do not want to be worrying about releasing strange metallic particulates in to my beer like I do when using an old chrome tap that erodes after time. Another great thing about these Intertap beer faucets is that they are forward sealing and with forward-sealing faucets the faucet keeps beer in it so the inside doesn’t have a chance to get sticky. This makes cleaning your draft beer system far easier. It also reduces the chance of off flavors transferring to your beer while you are pouring. 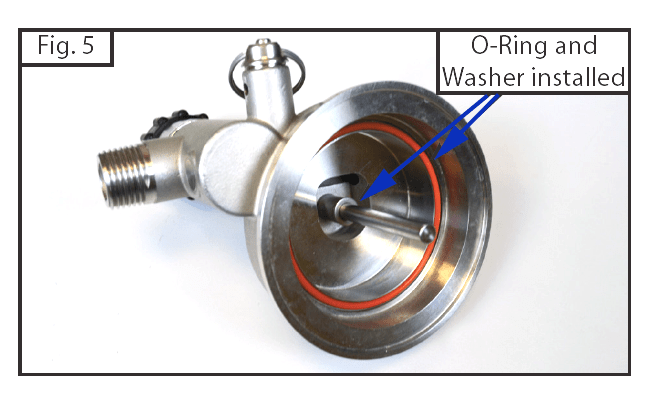 One of the things that sets Intertap beer taps apart from other forward sealing beer taps is that Intertap faucets use a sliding shuttle that guides the internal o-ring into the perfect position every time. The Intertap stainless steel faucets are also modularly designed allowing you to add helpful items like a ball lock spout, stainless steel growler filling spout and an elongated stout beer spout! They have two varieties of beer faucets in all stainless and 1 features a flow control lever. I ended up getting one of the stainless steel flow control beer faucet and three of the standard stainless steel beer faucets. MoreBeer has the best price I have found for Intertap Faucets and they also offer free shipping on any home brewing equipment or supply orders over $59. Here are links to them as well as links to the anti-microbial beer line which I also highly recommend. Do not forget to pick a shank for each beer faucet, I got the 4″ shanks and they have me plenty of extra room to run them into my refrigerator door. Those were the items that I picked up at MoreBeer, the remaining items I purchased at my local Lowes. I purchased 1 box of Stainmaster Vinyl flooring, which is great because it is resistant to liquid and stains; two things you need to consider when building your kegerator. Normal wood flooring does not do well with moisture so I would recommend avoiding it if possible. I also picked up a small container of vinyl flooring adhesive, a plastic spreading knife, a razor blade cutting knife (to cut the vinyl flooring), a 1″ drill bill to cut the shank holes for the beer taps, chalkboard spray paint (for the refrigerator upper door), a 3″ wide plank of wood (to make a frame for the upper door), some wood stain to match the vinyl flooring, black duct tape for trim and a brushed aluminum kick plate to put on over the vinyl but under the beer faucets and tap handles. Once you have all of your supplies in hand, it is time to get to work! I started off my shutting off the refrigerator and giving it a good cleaning. Next I removed both of the refrigerator doors and all of the handles and hardware from the doors. I then sanded the refrigerator doors with a high grit sandpaper to make them more receptive to the vinyl adhesive and chalkboard spray paint. I did not remove all the paint but instead just roughed them up a bit. I then measured and cut the flooring so that it would fit my refrigerator door. After making all of the needed cuts, I applied the adhesive to the lower refrigerator door. I waited approximately 10 minutes as per the instructions for my adhesive and began to put the vinyl planks in place. I tried my best to mix the planks up a bit so that it did not look to repetitive as can be the case with synthetic flooring. These Stainmaster vinyl flooring planks were very easy to install. They locked in to place with one another crating a strong bond. After placing all of the vinyl wood planks, I put pressed down on each of the planks firmly and then set it to the side to allow it to dry. Next I began work on painting the upper door, building the wood frame and preparing the mash paddle door handle for the kegerator. After giving it a little thought, I figured that I would paint the upper door with a chalkboard spray paint. I was hoping it would add some contrast to the kegerator doors and would also give me the option of adding some notes about the beer being served or allow me to change the appearance of the fridge easily by modifying the drawing on the board. Painting the door was very easy and I gave it two coats of paint. After the upper kegerator door was painted, I began my work on creating a simple frame to give it a border and add some cohesion with the rest of the kegerator. I searched for the cheapest 3″ wide plank I could find at Lowes and had them cut it to the appropriate sized lengths which they are always kind enough to do at no cost. I joined the pieces together with some wood glue and staples. I was going for a rustic look so was not too concerned with any rough edges or the staples showing. I sealed some of the gaps with putty, sanded it down a bit and then stained the wood. Lastly I applied a clear acrylic coat once the stain had dried. Next up was crating a door handle for my homebrew kegerator. I wanted a door handle that said beer and homebrewing when you looked at it! So I decided to use an old mash paddle that I had hanging around the garage. I am really pleased with how it worked out, it is very functional and has the look and feel that I desired for my kegerator. I started by staining the mash paddle to a color that would contrast the wood on the doors but compliment the beer tap handles. I then drilled the mounting holes and used a wine cork as a spacer so that the top of the handle would have about an inch of gap between the kegerator door to make it more easy to open. I used a heavy stainless steel bolt to mount the top of the handle so that it would not pull off the door if one of my buddies starts lifting weights and pull the door open too hard. Once the kegerator door handle was completed I mounted the doors back on the kegerator after I had verified that the flooring had adhered well enough and the paint had dried. Next I installed the brushed aluminum kick plate to the lower door after measuring it and cutting the excess metal off with a pair of tin snips. I placed the kick plate in the center of the area where I was planning on installing my stainless steel beer taps. I simply drilled it in with screws that would be long enough length to make it into the door but not so long as to pass in to the interior of the kegerator. Once the kick plate was installed, it was time to position and install the frame for the upper kegerator door. I drilled some pilot holes and affixed the frame to the upper door with 4 screws. I then mounted the mash paddle kegerator door handle and applied some vinyl squid decals that I picked up online to add a little something different to the kegerator. It was then time to install the beer tap shanks! I drilled pilot holes and used my 1″ drill bit to cut the 4 holes for the stainless steel Intertap tap shanks. If I had this part of the process to do over again, I think I would have switched drill bits to a 1″ saw style drill bit as I think the holes would have been a little cleaner. On one of the holes that I drilled, some of the plastic splintered on the inside of the kegerator. It was not a big deal, but could have been better. If you are like me and do not have room to fit your CO2 tank in your kegerator and or do not want to store your CO2 tank in the kegerator then you will need to drill a hole in the door to pass the CO2 line. I did so with a 1/4″ stainless steel pipe and brass fittings. It works well and makes it easy to disconnect from the kegerator door if needed. Eventually I am also going to drill 3 additional holes so that I can connect my SS BrewTech conical fermenter chilling system; but that is for a later homebrewing blog! if you are reading this while you are building your own kegerator, at this point all of the hard work is behind you and you are probably ready for a beer! Next clean up the mess that you have certainly created from drilling in to vinyl and styrofoam. Then slide the shanks in to the holes and tighten down the bolts on the inside of the homebrew kegerator. 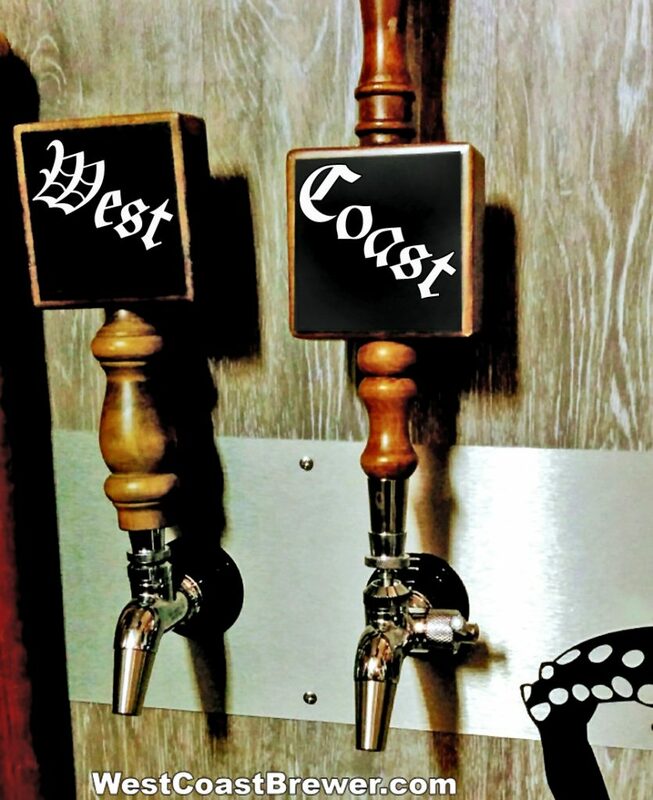 Once the stainless steel tap shanks are tightened in to place, you can install the beer taps – faucets on to the front of your kegerator. They make an actual wrench specifically for doing this but if you do not have one, you can simply hand tighten them. Next, attach your beer tap handles. All that is left is to connect the kegs, test for leaks and you are ready to enjoy a nice cold beer! I really enjoyed this project and my hope is that some of this information will help a fellow home brewer or beer lover. 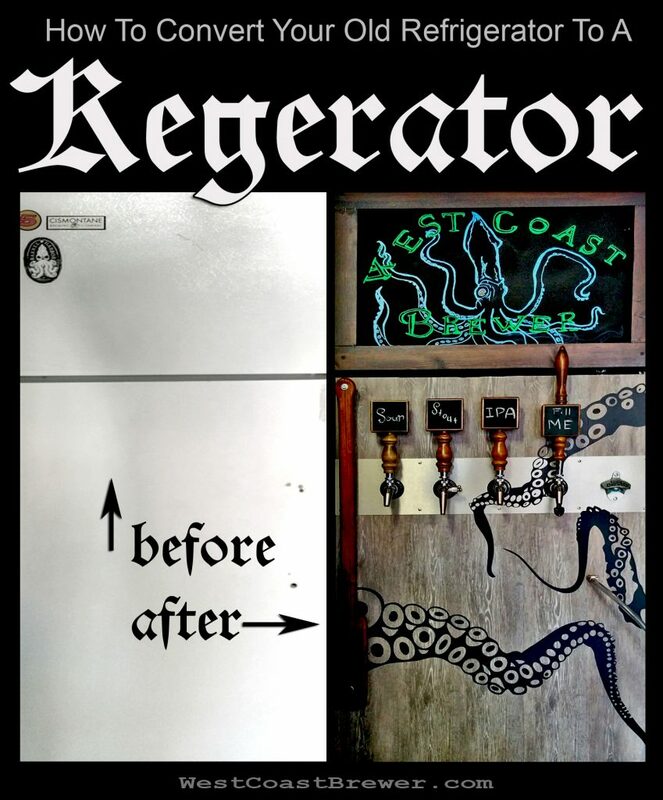 If you have any questions or suggestions about converting a beer fridge in to a kegerator, please feel free to shoot me an email or leave a comment on the blog. 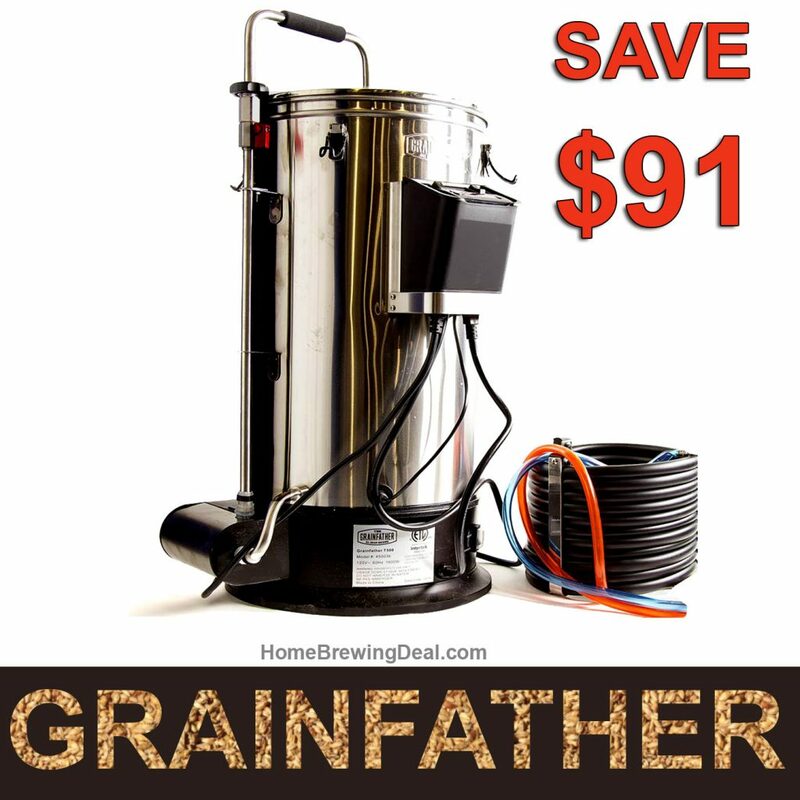 Right now you can save $91 on a GrainFather Home Brewery and get free shipping. The Grain Father makes all grain brewing simple! The Grain Father home beer brewing system is a a high quality all-in-one brewing system making all grain brewing so easy and so simple that even beginning brewers in a tiny apartment will be able to make a quality ale in their own home. It features accurate built-in temperature control, a recirculation system, a telescopic design that allows for mashing/sparging/boiling all in one unit, a false bottom basket, a hop filter, and a quick and easy to use counter flow wort chiller where you’ll pump your chilled wort straight into your fermentor. Every piece on the Grainfather is thoughtful and constructed with quality. The integrated temperature control module enables accurate temps to be set to within one degree set your mash and boiling temps. The Telescoping design lifts out of the Grainfather so your grain bed is just above your wort where you’ll easily sparge. Ready to boil? a couple of swithes and a quick temperature setting and you’re Grainfather is quickly increasing temperature getting you to boiling temps. Chilling is a breeze with the counter-flow chiller. The GrainFather makes an incredible Christmas Gift for any beer lover!